Children’s Rescue Mission (CRM) is an inter-denominational, faith-based organization providing humanitarian relief, education and a message of empowerment to the people of the Teupasenti Region of Southeastern Honduras. CRM is a qualified 501(c) (3) non-profit, charitable organization and all gifts may be tax deductible. 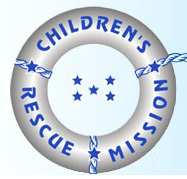 Children’s Rescue Mission is incorporated in the State of Connecticut and operates out of Norwalk, CT.
CRM is supported by short term missionaries, various North American churches and volunteer organizations, and by the gifts and donations from individuals. With these donations and the sweat-equity of the villagers and volunteer missionaries, CRM has constructed a Mission Home which accommodates up to 20 visiting missionaries and donors with a Mission Kitchen which provides jobs while supplementing food production for feeding the hungry villagers. The Mission Home and adjacent Church and Education Center serve as a beacon of hope for the community. To date, CRM serves eight villages and barrios throughout the valley. Pavilions are being built to provide a place where children and families can meet, learn and have a meal. Pavilions have been completed in the villages of San Jose de Portrero and Rodeo, with several more planned and awaiting funding. The goal of the Children’s Rescue Mission is to first offer relief, then education to help the villagers become self-reliant, and to empower them to have choices for their futures. Thanks for visiting and thanks to all our faithful supporters.